A complete Full Year program in one easy order. Includes Instructor's Guides with a 36-Week, 4-Day schedule designed to save one day a week for co-ops, music lessons, sports or other extra curricular activitie. Package includes Reading with History (History, Read-Alouds, & Readers), Language Arts, Spelling, Science, Math, and Required Resources! *Please select a Spelling program. *Do you own the Kingfisher History Encyclopedia book? *Would you like to add the OPTIONAL Wordly Wise 7? Includes everything you need to teach with confidence. All of the planning is done for you. Relax knowing you don't have to be an expert to give your child an excellent education. Here’s an in depth look at what you’ll receive and learn. With all your lesson plans and organization done for you, you can spend your time enjoying your children and learning with them. Let the discussion questions and great books lead to meaningful conversations about family, politics, history and character. Open your guide each day to see what to read and discuss. As an added benefit, you will receive free online access for 1 year to the electronic version of this guide. Your History books, Read-Alouds, Readers and Language Arts all intertwine for a cohesive, reinforced learning experience. Two authors provide the foundation for your adventure: The final two volumes of The Story of the World take you on a gripping story-based trek through history. The critically acclaimed Kingfisher History Encyclopedia, organized into 10 historical eras, is your one-stop research source and perfect companion to your study of World History. Timeline Figures are included to help your child map the flow of History.They come on pre-gummed heavy card stock. Just cut them out, color and stick them in The Timeline Book (The Timeline Book is included with the Required Resources. This book can be used for several years). Enjoy this final set of Read-Alouds with your children. Give your children heroes who inspire them to become people of courage, strength and honor. Readers augment your history studies, showing what life was really like for people from Russia to Peru, Puritan America to Imperial Japan. 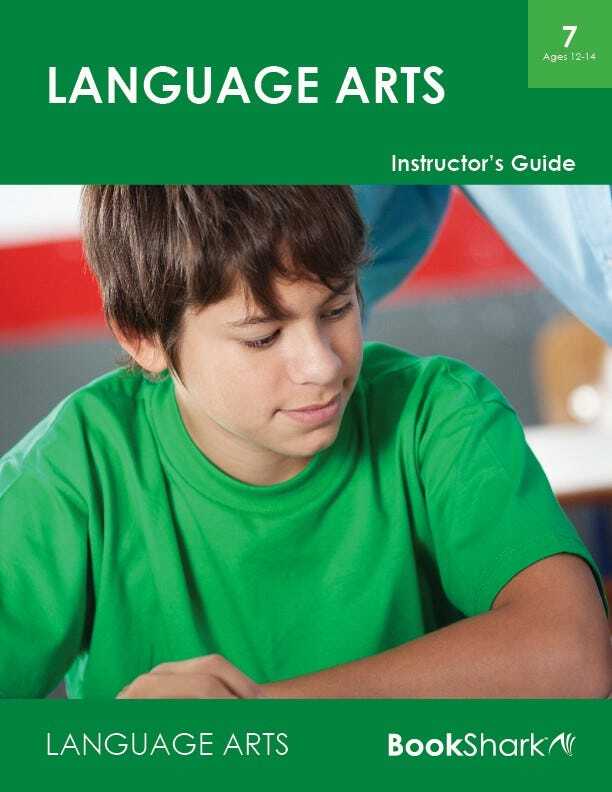 We beefed up the Language Arts program to give you a better balance of creative writing, grammar and writing mechanics. We also provided more specific parent instructions for you (in the IG). Your students will write creatively, compose essays, research and analyze literature. They'll find instruction and inspiration for great writing! The following OPTIONAL supplement Wordly Wise 3000, Book 7 & Teacher's Key is scheduled in the guide for your convenience but not required. (Not included in the All-Subject Package but can be added using the Customize Tab). Spelling You See takes the approach that students spell correctly when words are imprinted on the visual memory. The design of the program allows students to develop spelling skills naturally, at their own pace, with the direction and encouragement of the instructor. See the General Spelling Readiness Guidelines for more information on placing your student in the correct level. 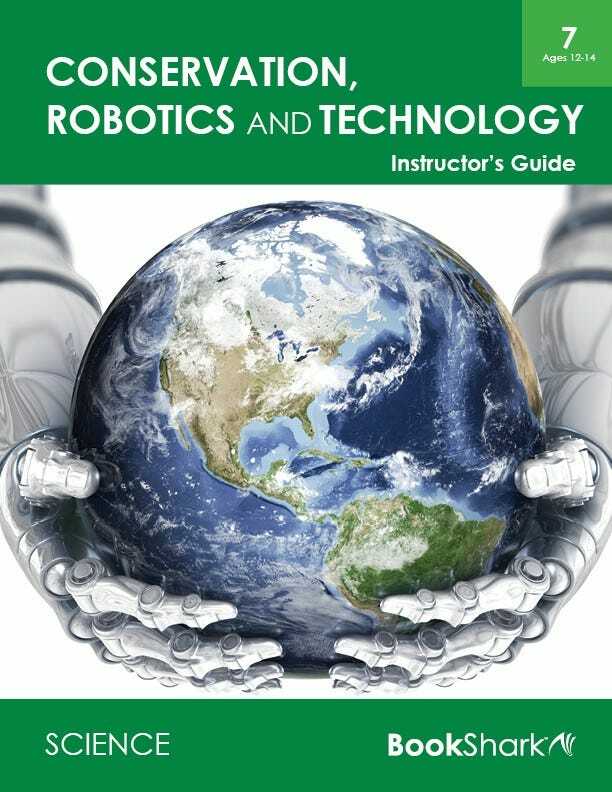 Topics include energy, conservation, robotics, the human brain and technology. Filled with projects, experiments and activity sheets to engage your middle school student and inspire interest in these fascinating fields of study. The Math-U-See Pre-Algebra Universal Set comes with this All-Subject Package. You may also choose from other math programs such as Saxon and Singapore using the customize tab. To find out if your student is ready for Pre-Algebratake the Pre-Algebra Readiness Assessment. A few essential resources make your learning extra rich this year. 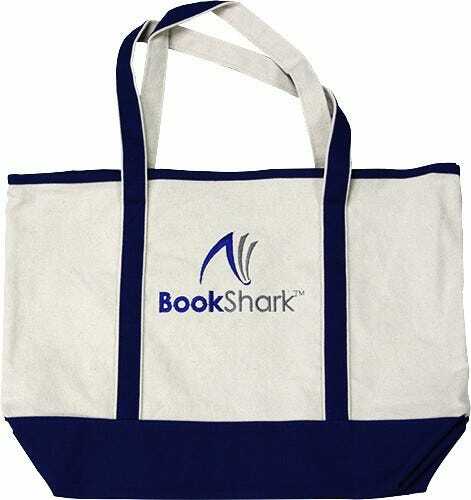 Includes The Timeline Book, Markable Map & Markers and a 3” Binder with Tabs to organize your Instructor’s Guides. (The Timeline Book and Markable Map only need to be purchased once. You'll be using them each year). 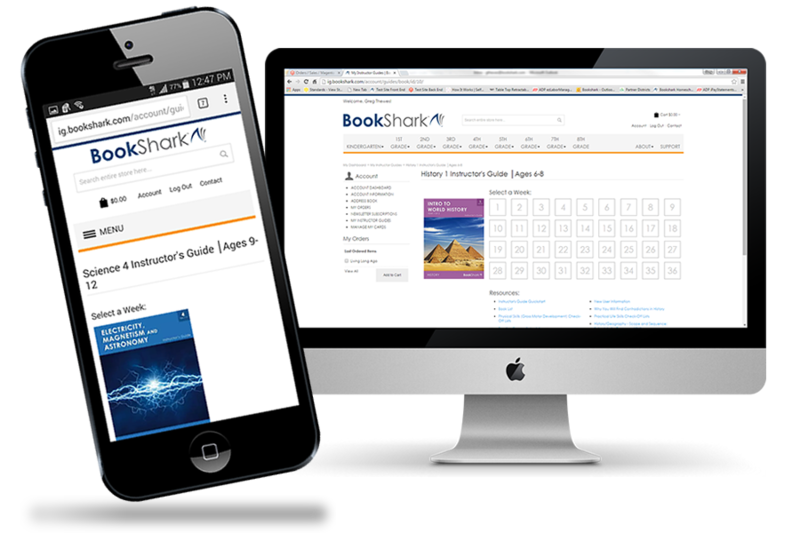 BookShark’s Level 7 All-Subject Package covers the second half of world history beginning with the 17th century and ending in the modern era. 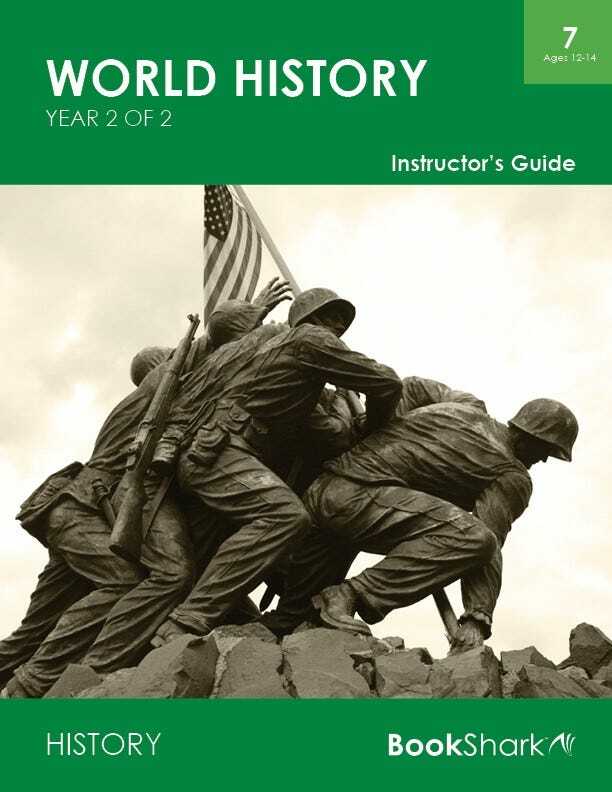 The first half of the program – Level 6 All-Subject Package: World History, part 1 of 2 – is not required for you to use our Level 7 curriculum, though it does help provide some context. It is up to you if you want to skip it or step back. If you have any concerns about skipping content or about the difficulty of the Level 7 work, please consider starting with Level 6. Our Level 6 package is designed for students age 11-13. Yes, you can! Your students will be able to share most of the resources in the All-Subject Package, including Read-Alouds, Science, and History. They can also share the Timeline Book and Timeline Figures, but you will need duplicates of some of the worksheets. You may also need additional math resources. Please look at the “Consumables” tab to see a full list of the consumable materials in this package. Please remember that Math is a skill based subject. Even though your students are in the same age range, they may not have the same skill levels. Use the assessments on our Resources page to help you pick the correct Math option for each of your children. Once you know the correct Math levels, customize the All-Subject Package to fit one of your student’s needs. Then, supplement the package with an additional Math program that fits your other students. If there is more than a three year age difference between your children, we recommend that you purchase a separate package for each student. Our Level 2 All-Subject Package (for ages 6-8) is a nice thematic match to our Level 7 package since both cover the second part of World History. Yes! If your students are willing to work together as lab partners, they can share the resources in the Science Supplies Kit 7. You may want a second kit if you prefer that each student perform every experiment, or if you have more than two scientists sharing the Science package. Which Math program/level will be best for my child? Math, like reading, is a skill-based subject. It is important to pick a program and a level that fits with your child’s learning style and ability. Please take a look at our Resources page for a comparison of our different math options. We also have placement tests to help you figure out the appropriate starting point for your child. Can I purchase the package without Math? Our All-Subject Packages are built to include everything you need for your school year: History, Reading, Language Arts, Science, and Math. We love our packages so much that we discount them 20% off retail price. You can purchase the elements of the All-Subject package without purchasing math, but you will not receive our 20% off package discount.